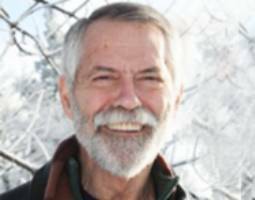 On Thursday, April 18, Jefferson Community College (JCC) will host author Chris Crutcher at 6:00 p.m. in Jules Center, Room 6-002. The presentation is free admission and the public is invited to attend. Jefferson Community College (JCC) will hold an Open House on Friday, April 12, 2019, from 10:00 a.m. to 1:00 p.m. Open House is a great opportunity for prospective students to experience the JCC campus culture first hand and get answers to any questions they may have about college. Check-in and registration will take place in the Commons, Jules Center (Building 6). Family members are welcome. The humanities department at Jefferson Community College will hold part two of the interfaith series titled The Good Life on Thursday, March 14, 2019, at 6:30 p.m. in Room 6-002, Jules Center (building 6). The forum will discuss how four world religions differ. The public is invited to join the conversation. Come learn about the differences and similarities between the generations from internationally acclaimed speakers, David Stillman and Jonah Stillman, at Jefferson Community College on March 7, 2019. All are welcome. Admission is free.